Satin finish. Power Throttle Bodies for the 1994-'01 Acura Integra GSR are cast in permanent molds, a superior process to the sand castings used by competitive manufacturers. Available in 68mm bore size. 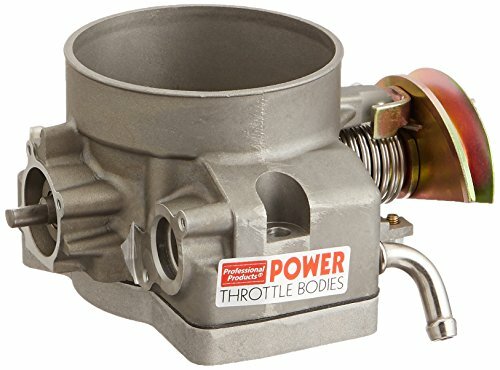 The 80 millimeter throttle body for 1998-2002 LS1/LS6 Camaro and Firebird is typically suitable for use on stock intakes. 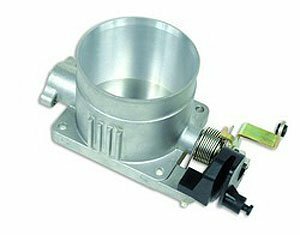 This throttle body features die cast aluminum construction and are OE quality units. Utilizes an aluminum transition plate that bolts between the stock manifold and the throttle body. 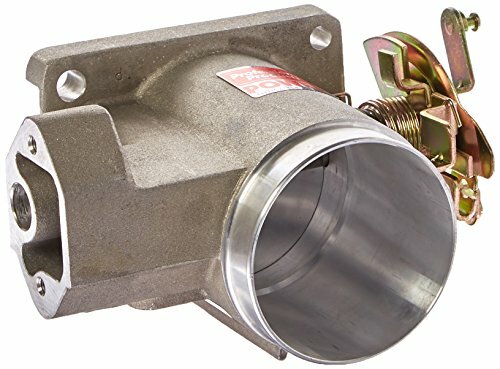 This transition plate smoothens the flow of air when using the throttle body on a manifold that has an inlet opening smaller than the throttle body. 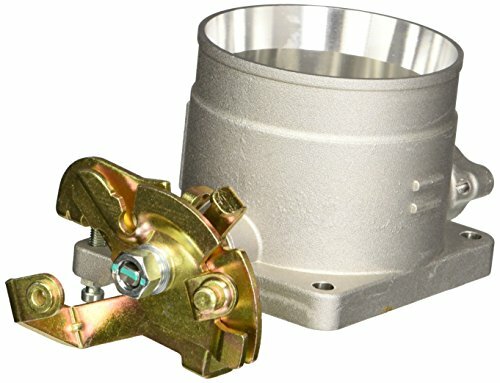 These units are a direct bolt-in replacement for the stock throttle body. Also fits 2004 Pontiac GTO and full size 4.8, 5.3 and 6.0 engines with cable style throttle linkage. 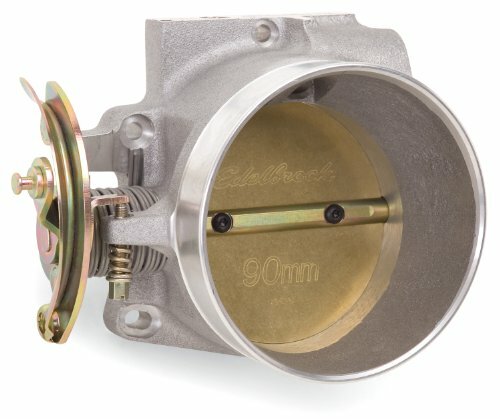 The 96 millimeter throttle body for GM LS2 engines or other versions of the LSX engines with a four bolt throttle body is suitable for engines with cable throttle linkage (no drive by wire). This will primarily be used on engine swaps and GM crate engines. 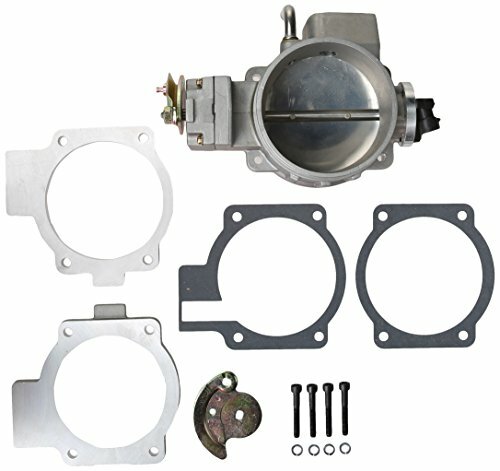 This throttle body has a number of features not found in any competitive model. It has a geared throttle mechanism which reverses the opening of the throttle blade. This means the throttle blade opens from the bottom first which is the way GM originally designed the factory unit and according to GM engineers this provides better low speed throttle response. These throttle bodies come with tapered adapter plates to allow use on a stock LS2 manifold or any other manifold that has an opening smaller than the throttle body bore size. Additionally, the throttle bore features parabolic machining so that when the throttle starts to open, only the lower side of the butterfly opens initially. As more throttle is applied, then the upper part of the butterfly opens. 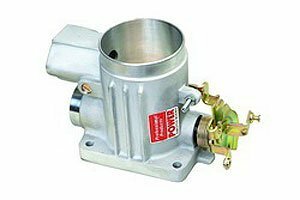 Without this feature, on a large single barrel throttle body like this, when the throttle is initially depressed, it allows too much air into the manifold and causes the vehicle to leap forward when what you really want is a smooth takeoff. Satin finish. Professional Products Throttle Bodies for 5.0l Fords are cast in permanent molds, a superior process to the sand castings used by competitive manufacturers. They feature precision fit throttle plates and dead accurate machining. The 1994 through. 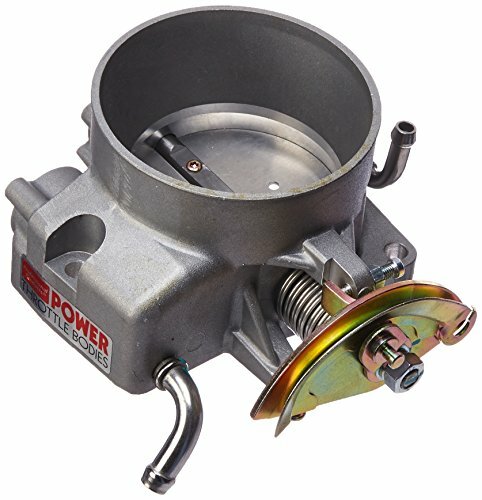 Designed for modified Gen III-IV engines, the Victor LS Series 90mm throttle bodies increase flow and horsepower in high-performance street or competition applications. Throttle bodies #3864/#38643 include a LS1 stock-style TPS and IAC. Throttle body #386403 does not include the TPS and IAC. Extra idle control is provided with the addition of an idle bleed screw. They have an LS1/LS2 flange that can be mounted on aftermarket LS1 manifolds with a 90mm opening as well as LS2/LS7 factory manifolds. They do not retain the lower water tube and are perfect for enthusiasts who want to use an LS2 or LS7 in an older vehicle with no fly-by-wire throttle. 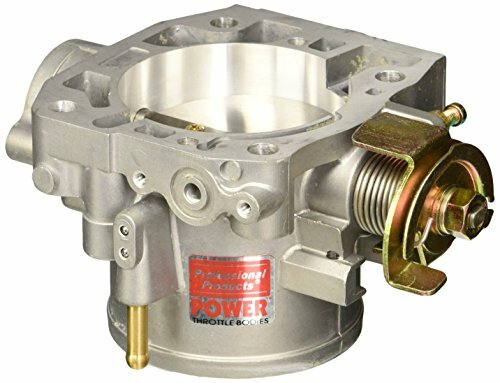 Looking for more Satin Throttle Body similar ideas? Try to explore these searches: Stuff Embroidery Designs, Directors Score Sheet Music, and Sleeveless Tulip. Look at latest related video about Satin Throttle Body. Shopwizion.com is the smartest way for online shopping: compare prices of leading online shops for best deals around the web. Don't miss TOP Satin Throttle Body deals, updated daily.